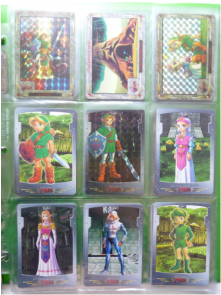 I never knew how many different trading cards and the like existed for The Legend of Zelda until I started collecting. THERE'S SO MANY!!! I'm going to throw postcards into this category just because I feel they fit here better than they would in the Misc. section. My Zelda card items will be loosely categorized and will be listed from oldest to newest in each category. 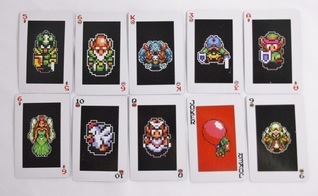 Other Info: The set included one Sweepstakes Entry in each booster pack. Winners could receive a Wii System or a Zelda t-shirt. 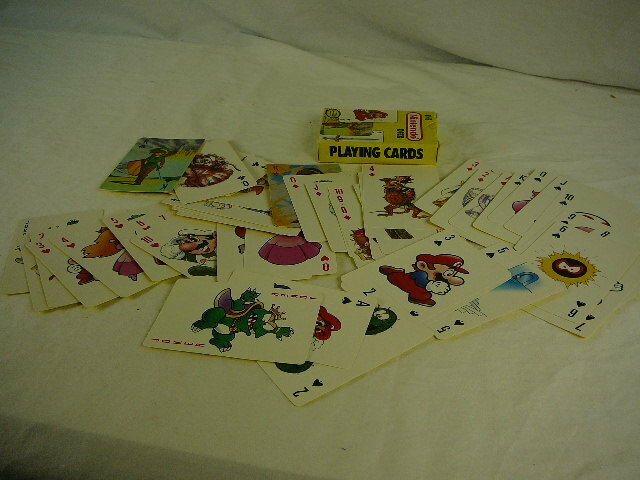 While I've never opened any winning cards, a Winning Card was posted on eBay in January 2018. This particular winner would have been awarded a t-shirt (whether or not the prize was claimed is unclear but is unlikely since winning cards were to be sent in.) 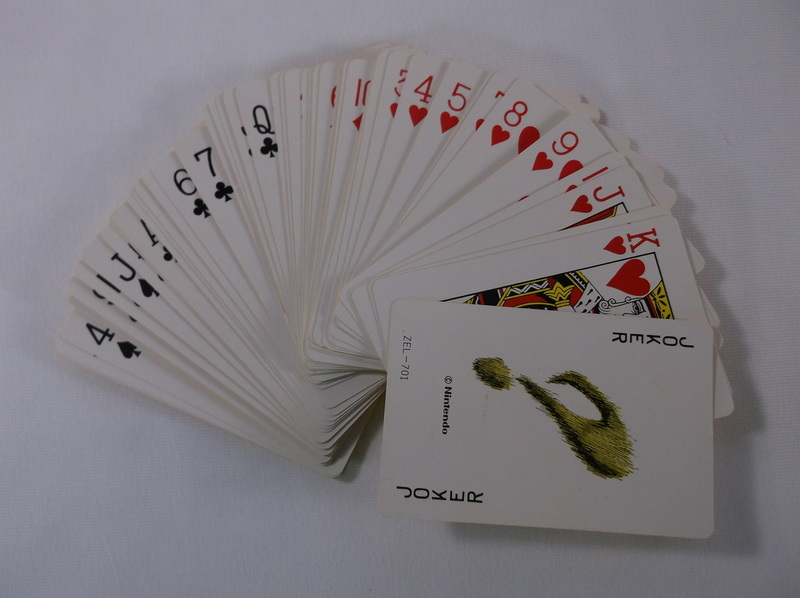 The winning cards were all foil-punched with a number. 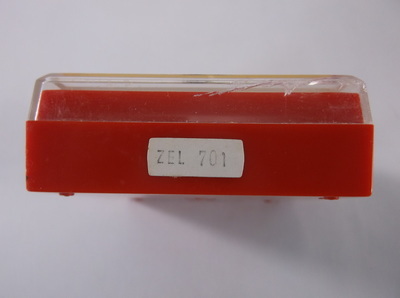 The one in the auction was 093/288. ​EnterPLAY also release an alternative 5 + 1 Bonus Pak set directly on their website. This pack included 6 boosters (instead of the typical 24). 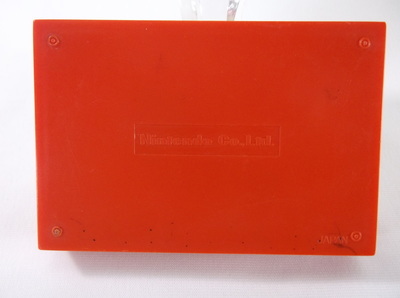 A few were auctioned online in February 2018 on eBay. 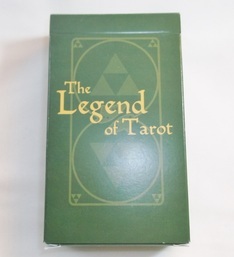 Other Info: My deck is sealed, however I did find an image of an open pack. 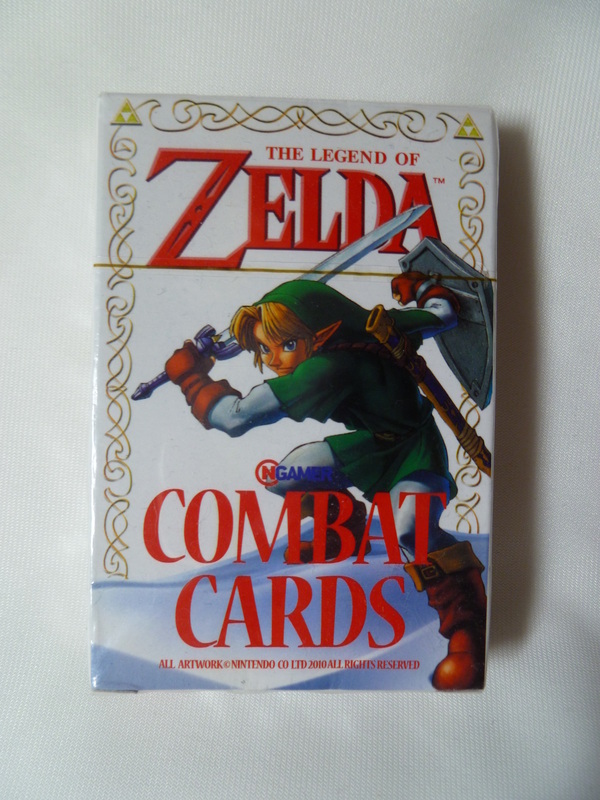 It appears that the combat cards have stats for various Zelda characters and items that you can use to battle your friends. 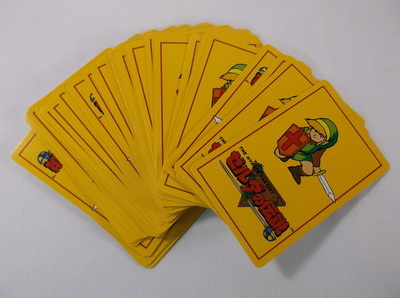 Other Info: These official playing cards were released for the 25th Anniversary of the Zelda franchise. 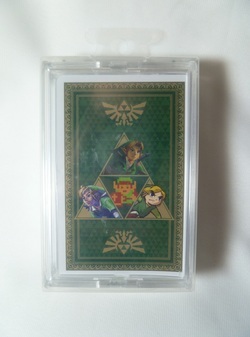 As seen here, spades feature Hyrulte Fantasy/The Legend of Zelda, hearts feature The Legend of Zelda: The Wind Waker, diamonds feature The Legend of Zelda: Ocarina of Time 3D, and clubs feature The Legend of Zelda: Skyward Sword. Extra Info: Justice is mistakenly numbered XIII instead of VIII." This set is also listed in my Crafts Collection. 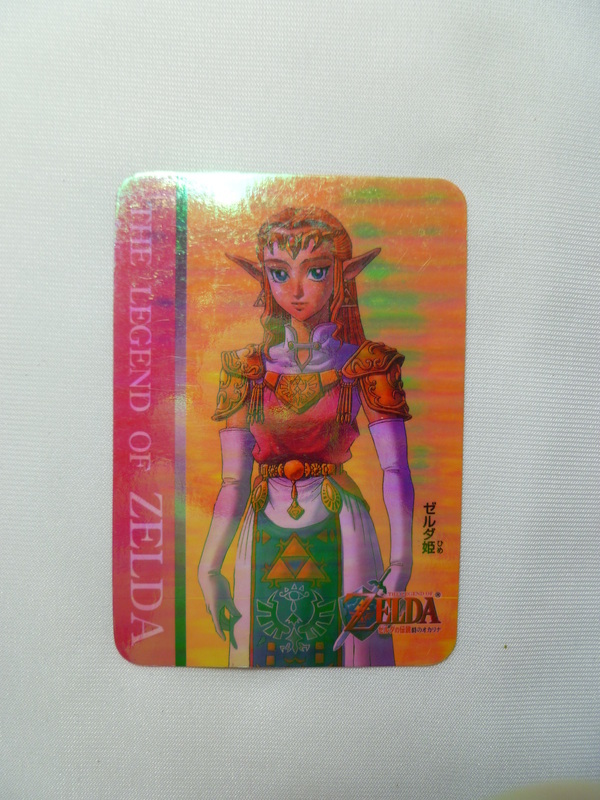 Other Info: This is an exclusive New York Comic Con promo card featuring the artwork of the latest editions to Akira Himekawa's Zelda Manga series. The card is 5.5 inches by 8.5 inches large. There is a matching poster featured in my Poster Collection. 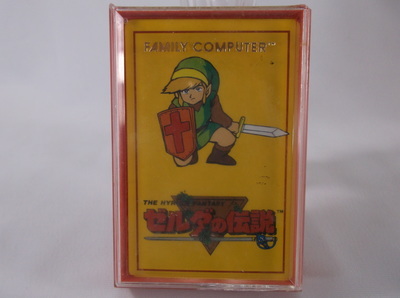 Other Info: Akin to the 2016 EnterPLAY Collector's Fun Boxes, this set was marketed as a value box of Zelda trading cards, pins, and dog tags. 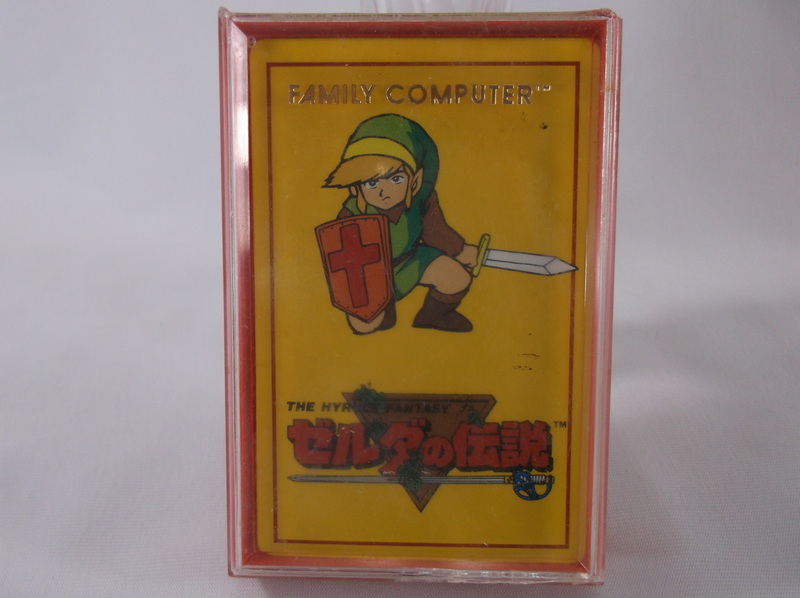 It includes elements of the 2016 EnterPLAY Legend of Zelda Trading Cards as well as the 2017 EnterPLAY Legend of Zelda Collector Tag Set. 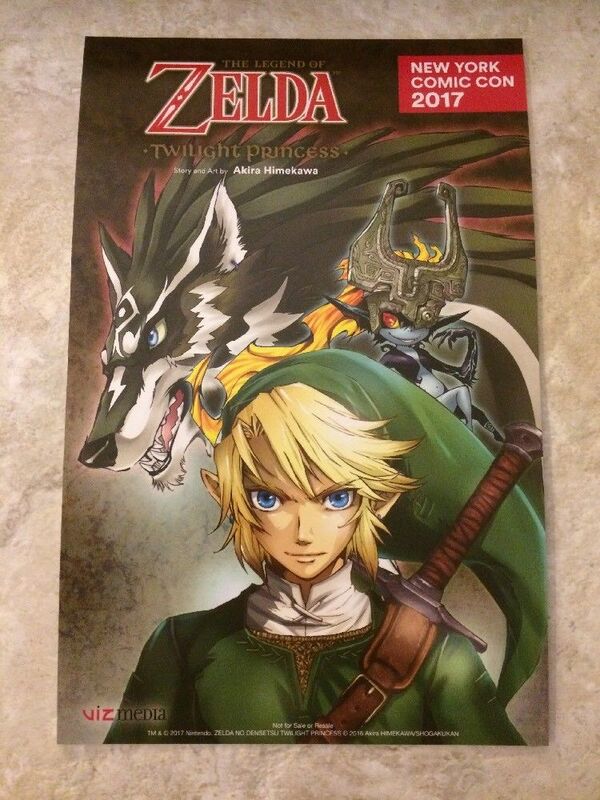 Also like the previous Fun Box, this set included exclusive items, such as a large silver Hylian Crest vinyl, 9 Breath of the Wild themed trading cards, and 3 collectible pins (Golded Z Logo, Golden Hylian Shield, Silver Hylian Crest.) This set is also listed on my Jewelry and my Stickers &Temporary Tattoos pages as well.